Three-year-old Constance has been battling kidney disease since she was born. She’s endured multiple surgeries, seizures, hernias, headaches, high blood pressure, and daily dialysis treatments. But somehow, she doesn’t let that get in the way of just being a kid. Kristin and Constance have stayed at the Seattle House three times. 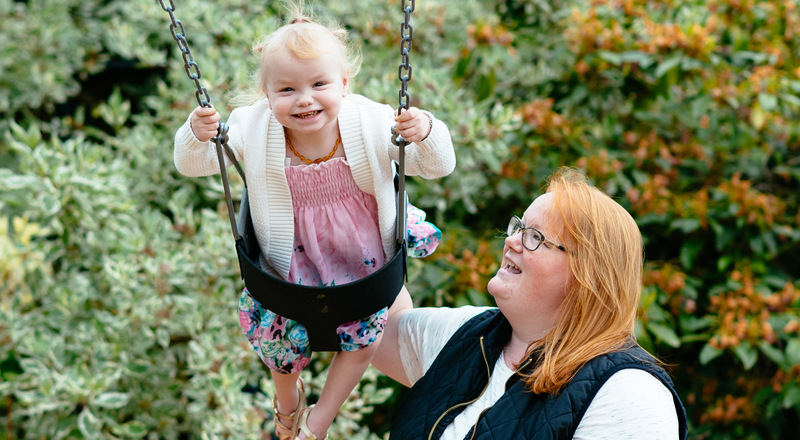 The first time was in 2014, in the months after Constance was born, when her care team at Seattle Children’s Hospital was working to assess the extent of her kidney disease. Constance was discharged from the hospital when she was two and a half months old. Over the next few years, she went through daily dialysis at home and had a few medical scares, but was able to live mostly at the family’s home in the small town of Ephrata, Washington. That changed in September 2017, when the at-home dialysis wasn’t able to keep up with what Constance’s body needed. Kristin and Constance moved back into the Seattle House while she underwent more intensive care at the hospital. They returned home in January, but came back to Seattle just a few weeks later after Constance suffered a seizure. This time around, Constance’s older brothers are in school, so they have mostly stayed in Ephrata. But unlike when she was an infant, Constance is now able to enjoy and explore the Seattle House between her dialysis appointments. There are only two treatments for Constance’s kidney disease: dialysis or a kidney transplant. She recently achieved the size and weight requirements needed to qualify for a kidney transplant, so now she and Kristin are waiting for one to become available. They’ll likely be living at the Ronald McDonald House in Seattle through the transplant and recovery. It’s been hard on Kristin to be away from her husband and her sons, especially over the holidays. But having a place to stay and a community around her has made it a little easier. Your support helps us provide housing and support to families like Constance’s. To get involved, visit our Donate and Volunteer pages.